I have been looking forward to reading Nasty Women, a collection of essays put together by 404 Ink, since I first heard about the Kickstarter campaign from Margaret Atwood’s Twitter feed earlier this year. Most of the authors you may not have heard of, but together they represent what it is to be a woman today, and the compilation is strong on being intersectional. When I spotted Nasty Women on Netgalley last month, I jumped at the opportunity to review it. With intolerance and inequality increasingly normalised by the day, it’s more important than ever for women to share their experiences. We must hold the truth to account in the midst of sensationalism and international political turmoil. Nasty Women is a collection of essays, interviews and accounts on what it is to be a woman in the 21st century. People, politics, pressure, punk – From working class experience to racial divides in Trump’s America, being a child of immigrants, to sexual assault, Brexit, pregnancy, contraception, identity, family, finding a voice online, role models and more, Laura Jane Grace of Against Me!, Zeba Talkhani, Chitra Ramaswamy are just a few of the incredible women who share their experience here. Keep telling your stories, and tell them loud. The stories encompass a wide variety of speakers: women of color, queer women, Muslim women, female immigrants, and female survivors of sexual assault, just to name a few. The group of authors are diverse and each story is unique. The collection of stories are all raw and personal, deeply emotional, and powerful. It is women writing about their everyday experiences in today’s world. Many of the essays left me feeling enraged, angry…nasty. Angry at the amount of crap women that women continue to face. The increasing normalization – again – of misogyny and intolerance. The continuance of inequality. It was a naive part of me that saw Trump do and say such horrible things, witnessed his complete lack of capability and worthiness to lead, and thought that even the most reprehensible people in my country would, at the last second, understand that allowing this would not ‘Make America Great Again’. It would merely reveal the masty, rotting heart of America that I daresay it has always had since it built a throne on stolen land and tried to crown itself king of the world. The first essay, Independence Day by Katie Muriel, is one of my favorites. I believe many of us can identify with the guilt that Katie speaks to following the 2016 election. Jen McGregor’s essay was another one I could relate to, as I have also struggled with some horrible side effects from birth control, which I have taken regularly since my teen years in an attempt to help relieve my endometriosis symptoms. But the essays I appreciated the most as a reader were by authors who come from a different life experience from my own. Such as Sim Bajwa’s essay on the immigrant experience, or Joelle Owusu’s essay, The Dark Girl’s Enlightenment. They want our things – our food, our labour, our money – but they don’t want us. It’s infuriating and saddening. Underneath it all though, I’m weary. I’m tired of the dehumanization of immigrants and the erasure of their experiences. I’m tired of knowing that when people mean ‘immigrants’ in the West, they don’t mean white migrants from North America or Australia. I’m tired of feeling like I need to justify why my parents aer here. When BFFs Charlie, Taylor and Jamie go to SupaCon, they know it’s going to be a blast. What they don’t expect is for it to change their lives forever. Charlie likes to stand out. SupaCon is her chance to show fans she’s over her public breakup with co-star, Reese Ryan. When Alyssa Huntington arrives as a surprise guest, it seems Charlie’s long-time crush on her isn’t as one-sided as she thought. While Charlie dodges questions about her personal life, Taylor starts asking questions about her own. Taylor likes to blend in. Her brain is wired differently, making her fear change. And there’s one thing in her life she knows will never change: her friendship with Jamie—no matter how much she may secretly want it to. But when she hears about the Queen Firestone SupaFan Contest, she starts to rethink her rules on playing it safe. Queens of Geek is fun rainbow unicorn fluff. In a good way! It’s a fun read for anyone who is a cosplayer, attends conventions, belongs to a fandom (or two, or three, or ten), or just loves healthy doses of pop culture references in your literature. The diversity is fantastic, and I really appreciated the realistic portrayal of anxiety. Taylor is on the Autism spectrum and has anxiety. Charlie is Asian-Australian and bisexual. The two girls are the narrators and their voices are quite distinct from each other. I could definitely relate to Taylor’s social anxieties and adorkableness. As someone who has dealt with social anxiety myself, Charlie’s portrayal felt very honest and real. Despite the light tone, the story is filled with support for anyone grappling with mental illness, healthy relationships, sexuality, body shaming, and/or identity. Charlie especially seems to tackle an extraordinary number of hot button issues, including bullying and misogyny. Despite this awesomeness, I felt there were a few drawbacks. There is very little character development with the secondary characters. Additionally, I didn’t feel like there was a whole lot to the story. The story takes place entirely at the convention, and largely consists of the characters standing in line, hanging out at the hotel, or going to cosplay competitions or panels. I always hate to say this, but I also felt the writing was fairly mediocre, and ultimately, this was the biggest drawback for me. There was a lot of discussion of important and timely topics, but the dialogue felt clunky. Ultimately, it left me wishing there was more to it. Brian K Vaughan is quickly becoming one of my favorite graphic novel writers. I sped through all seven volumes of Saga recently, but I didn’t even realize he was also the writer behind Paper Girls until I picked up both volumes at the library. Paper Girls is about a group of 12-year-old paper delivery girls in the autumn of 1988. It’s the morning after Halloween, and some pretty weird stuff is going down in their hometown. The normal post-Halloween weirdos are still out, but there is something more paranormal happening as well. Across the two volumes, this turns into a bizarre tale of time travel that reminds me of Stranger Things. I’ve heard it described as LumberJanes on steroids…I need to go out and read Lumberjane’s to see if it is an apt comparison! What I like most about Paper Girls, Volume 1 is the setting: 1988 suburbia, and the nostalgia is turned up high. Both the artwork and the writing is top-notch, if you don’t mind finishing up both volumes having pretty much no idea where the story is going. It’s definitely confusing, and I still don’t know what’s actually happening, but I have enjoyed the ride! In Volume 2, the girls are catapulted into the future…2016. It just so happens to be election season (in 1988, we glimpse Reagan yard signs, in 2016 we get a Hillary). One of my favorite, and bittersweet, moments in Volume 2 is when two of the girls spot a Hillary yard sign. Tiffany remarks in excitement, “Mac, look. We get a girl president!”, to which Mac quips, “No, some lady is running. Doesn’t mean she’s gonna win.” OUCH. That STILL burns. I like how each girl is distinct and has their own personality. Erin is very much a 12-year old girl, while the other three are more jaded and less innocent. Mac is definitely the most interesting, and most troubled, of the quartet. Two of the girls get to confront their adult selves (well, kinda….but to say anymore would be a major spoiler), and the result is both heartbreaking and hilarious. Volume 3 releases in August, and I will definitely be picking it up with the hope there will be slightly more clarity about the plot and where the series is heading. I dip into contemporary YA only on occasion, and YA rom-com even less. So there has to be a really unique take on the genre to grab my interest. This one has been making the rounds in the blogosphere for months, and it definitely caught my eye when I first heard about it earlier this year. It turned out to be a fantastic pick to bring along on my June vacation! Told from two different perspectives, When Dimple Met Rishi follows two Indian-American teenagers during their summer break after graduating from high school. Dimple is ready for a break from her family, and can’t believe it when they give her permission to attend an expensive summer program for aspiring app developers. Little does she know, it is all part of her family’s plan to introduce her to Rishi…the young man her parents have secretly arranged to be her future spouse. Rishi is, almost refreshingly, a hopeless romantic. He knows all about the arrangement between the two sets of parents, and attends the same summer program as Dimple in the hopes of getting to know her. Little does he know that Dimple has been left in the dark as to who he is or what has been arranged, and deservedly freaks out when he first introduces himself. What follows is a cute romantic comedy, with two really fun and enjoyable characters. It is made even better because by branching out from just being a love story, as it also brings up questions of culture and tradition, family relationships, and coming of age independence. When Dimple Met Rishi tackles a controversial tradition, that of arranged marriages. I believe this is the first book I have ever read that doesn’t treat arranged marriage solely in a negative light. I have enough Indian friends who are in some form of arranged marriage to know that, although there are many bad arranged marriages out there in which girls were forced into the arrangement and/or treated terribly, there are many good ones as well. It is a complex issue, and while I can’t speak to the cultural accuracy in the story, it appears to be very well done. The other thing this book did was Make.Me.Hungry!!! When I lived in New Jersey, our apartment was in a predominantly Indian and Pakistani neighborhood, and we had 3 different types of Indian restaurants and a grocer just within a 1/2 mile walking distance. Oh, how I miss that! Khatta Meetha! Nom-nom-nom. Speaking of food, there is an amazing bar mentioned in the story, 2 sisters bar and books. A bar with tons of books to browse while you sip, and Sandhya Menon makes it sound like an adorable and amazing bar to visit. So I looked it up to find out…this is a real place in San Francisco!! And it just closed it’s doors in March. NOO!!!! Ultimately, I found When Dimple Met Rishi to be an adorable, heartwarming story about two Indian American teenagers finding their way in life. Top Ten Tuesday is a weekly meme hosted by The Broke and the Bookish. This week the theme is a Summer freebie, and i have chosen to focus on the Top 5 book I recommend for your summer reading list, and the Top 5 books I have on my summer reading list! However, before I get into my TTT, I want to take a moment to show my respect and profound sadness over last night’s bombing at the Ariana Grande concert at the Manchester Arena. I had a highly unusual evening last night; I was at my local Target when a fire started inside the store. I was among the hundreds of people safely evacuated; the inside of the store has sustained major water, fire and smoke damage and will be closed for the foreseeable future. I came home slightly shaky, feeling like I missed a close call, only to look down at my phone and see a Washington Post alert about the Manchester bombing. That quickly put things in perspective. I have a 9-year-old who loves Ariana Grande, and to hear one of the first two named victims was an 8 year-old child separated from her family is heartbreaking. My thoughts are with all those affected by the tragedy. There was some good news hiding amongst the headlines this morning, which I would also like to highlight. A group of 82 girls who were kidnapped from their school by Boko Haram in the town of Chibok , Nigeria back in 2014, have recently been freed. This is only a small number of girls kidnapped by Boko Haram, but it is heartening to see some of the girls reunited with their families. I can’t imagine their ordeal, and I hope they are on the path towards healing and recovery. Young Adult: I like quick reads in the summer, but they don’t necessarily have to be light and fluffy. The Hate U Give is a thought-provoking story that I can’t help but continue to mention on my blog! It is THAT good! And I am definitely not alone, THUG has spent the past 11 weeks at the top of the NY Times YA Hardcover Bestseller List. Mystery: Maisie Dobbs has been my summer go-to for fun mysteries over the past two years, and I typically read two or three of them each summer. This is an easy series to binge-read, but I have enjoyed taking my time with it. The series starts in post-WWI England, with flashbacks to Maisie’s life before and during the war. Psychological Thriller: If you haven’t read All The Missing Girls yet, this was my favorite book from Summer 2016. If you are already an established Megan Miranda fan, The Perfect Stranger is a great choice for your beach or pool tote. Award Winner: Margaret Atwood’s The Handmaid’s Tale has been getting a lot of renewed attention recently, which is extremely well-deserved! If you enjoyed that book or the Hulu series, I highly recommend checking out some of her other novels! The Blind Assassin won the Man Booker Prize in 2000 and is a fascinating novel that also contains a “story within a story” called…The Blind Assassin. Dysfunctional families: I’m currently in the middle of reading Commonwealth right now, but I am far enough along to definitely recommend this as a fun summer read! The summer scenes with both the Cousins and Keating kids hanging out in Virginia are quite unforgettable! What reading plans do you have for this summer? I truly enjoyed Levithan’s writing in Will Grayson, Will Grayson, and went into Every Day with high expectations. The potential was there for greatness, and I loved the concept. A contemporary/science fiction hybrid; to imagine a person without a gender, without a family, without a body, whose only consistency in life is that each day, they will wake up in the body of someone new. Like I said, the concept is intriguing. But I just couldn’t get into this book. Every Day is told from the perspective of A, a person who wakes up each morning in someone else’s body. The bodies are always the same age as A; when they were 3 they would always wake up as a 3-year-old; during the novel A was 16. A has never had their own body, the body shifting has been happening since birth. Therefore, A does not have a real name, and never forms attachments. To anyone. A can access the memories of the body they inhabit, but not the person’s feelings. The days have always blurred together for A, as time marches on. Until A meets Rhiannon after waking up in the body of Justin. Justin is Rhiannon’s callous boyfriend, and A falls instantly in love with her during his brief tenure in Justin’s body. Which leads both to the biggest detraction and the most interesting question Levithan presents: Can love find its way around a seemingly impossible situation? I can’t stand instalove books, and I rarely read them. 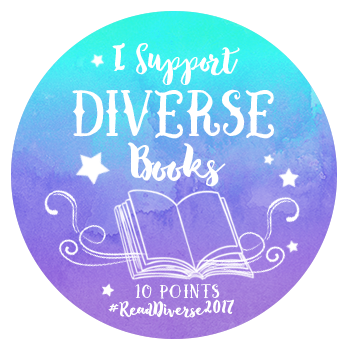 I made an exception for this one because it was on my TBR for the 2017 Diversity Bingo Challenge, and Levithan was an author I wanted to further explore. Rhiannon is, I hate to say it, a fairly bland character, which makes A’s obsession with her even more confusing, especially considering the lengths he takes. The friendship between the two is sweet at first, and I give Rhiannon credit for being fairly accepting of what seems like an impossible situation. But, there are so many aspects of their relationship that really bothered me. The stalking, which started to become incredibly creepy. The idea that only A can see Rhiannon’s hidden sadness, and they are the only one who can see Rhiannon as she her true self. The obsession. It is disturbing behavior, which is barely addressed in the novel. All my sympathy and fondness for A went right out the window when they became obsessed and started stalking Rhiannon. I liked A at the beginning of the story, and I was very sympathetic to their plight. For much of A’s life, they are extremely selfless and careful with the body they inhabit. I can’t imagine how tough that would be day in and day out. Yet I just could not get past all the lengths A went to after falling in love with Rhiannon. The part of the story I enjoyed the most was the diverse cast of people we meet when A inhabits their bodies for a day. These small stories were quite touching. I wish Levithan would have gone more in-depth into the paranormal aspect, although I can understand why he did not. What I don’t get, however, is why there wasn’t a further examination of what it means to be male, female, or neither. I really liked having a protagonist that has no gender or ethnicity. Yet I found the writing lacking in terms of how Rhiannon responded once she knew the truth of A’s life. Rhiannon definitely had some prejudices and ignorance on her side lurking beneath the surface, but this was barely addressed. I know there is a companion book to Every Day, written from Rhiannon’s perspective, called Another Day. I’m highly doubtful I will read it any time soon.